Every business needs to build its brand. A big part of that process is coming up with a logo. You’ll need a logo to put on many things. It will be outside your office, on any documents you send out, even on stationary and mugs if you like! I find that not having a logo will make your business look awful. It’s such a basic thing to do to give your business an air of professionalism. But, there’s also a difference between a good business logo and a bad business logo. The best logos are minimalistic and simple. They aren’t overly complex and hard to make out. You should get a graphic designer to create your logo for you, so it’s even more professional. You absolutely do not want to do it yourself using clipart. That’s a surefire way to decrease your rep and look amateur. Next, you should turn your attention to your office. 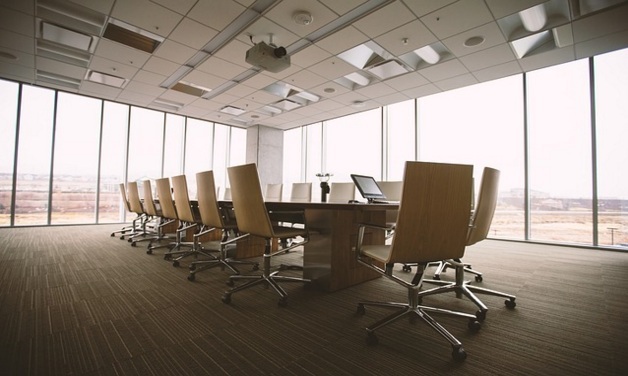 There are many things about your office that can make your business more professional. For starters, having an actual office in an office building will improve professionalism. You’ll have a proper business address; you look more serious about your work. Secondly, the design and look of your office will play a big part. When I say design, I’m not just talking about the interior, I’m talking about everything. From your office desk design right down to the parking lot design. It will all help make your business seem more professional. Imagine you went to a business meeting and pulled up outside their premises. They have a nice clean parking lot, a modern looking building with shiny windows and walls. Then, you go inside and see that the office is state of the art and full of lots of modern, simple, things. You’d immediately feel like you’re in the presence of a truly professional business. This is exactly what you need to try and create with your office, this kind of feeling inside people! Unsurprisingly, your employees will play a vital role too. Professional employees will lead to a professional looking business. It’s as simple as that. How do you get professional employees? Well, that’s simple too! It all starts with making sure you hire people that are professional in what they do. They’ll care about your business and work on giving you a good name. You don’t want to employ an office full of ex-convicts or people with bad employment records! Also, the office dress code will play a role. If everyone turns up in work suits, your business looks serious. Consider getting employment badges with your business logo on too. That way, when your employees are out for lunch in their nice suits, people will notice the badge and see your logo. They’ll then judge your business based on how professional your employees look! A really simple trick.